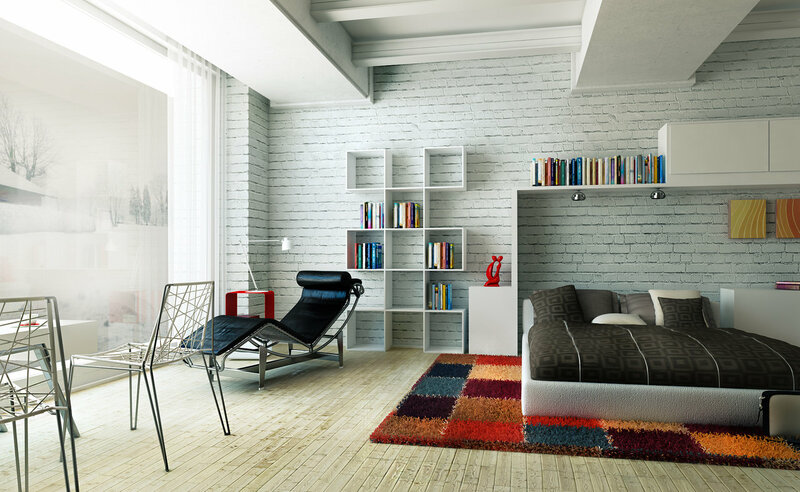 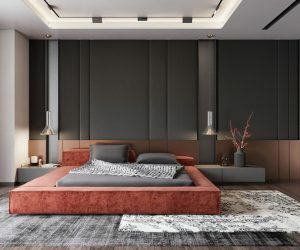 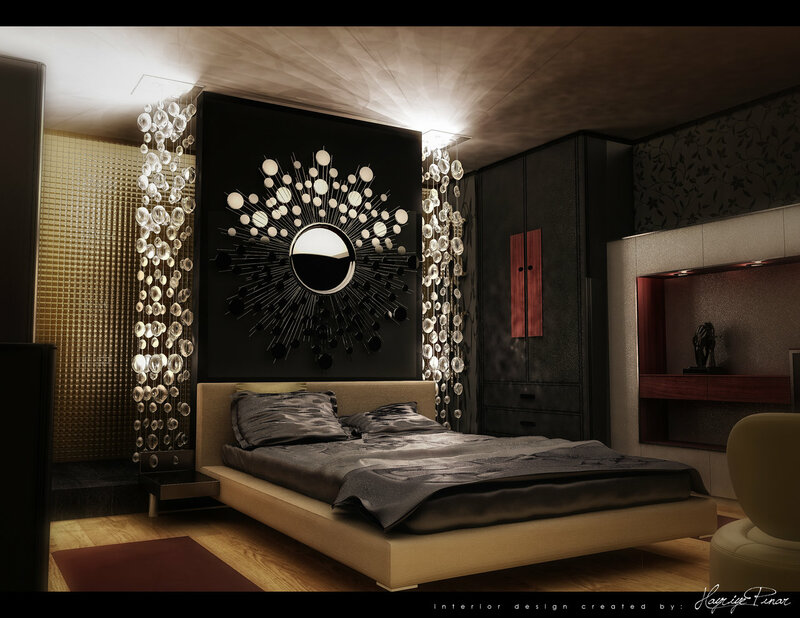 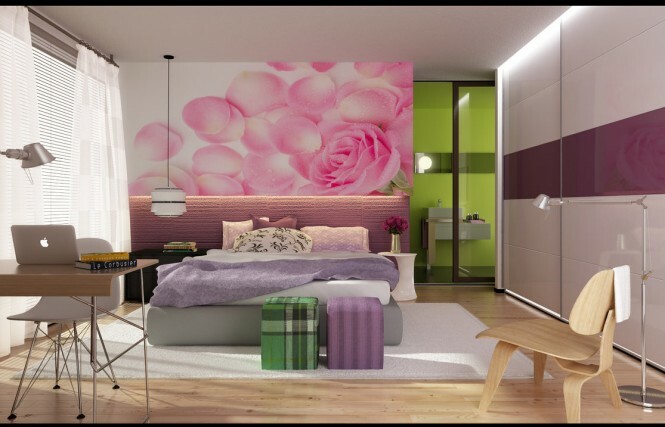 Check out this super-mod bedroom by Red Brent , with its glittery shag rug and matching wall panels. 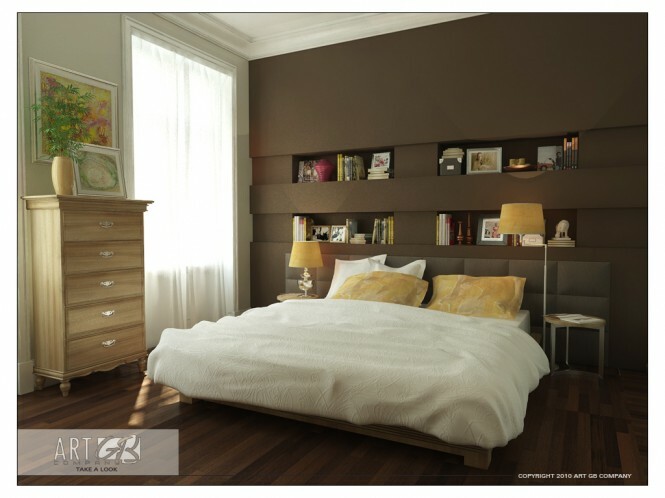 We like the metallic details and the two paintings above the bed. 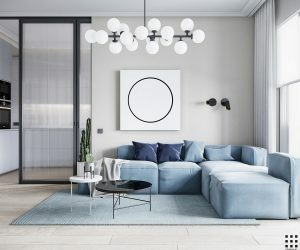 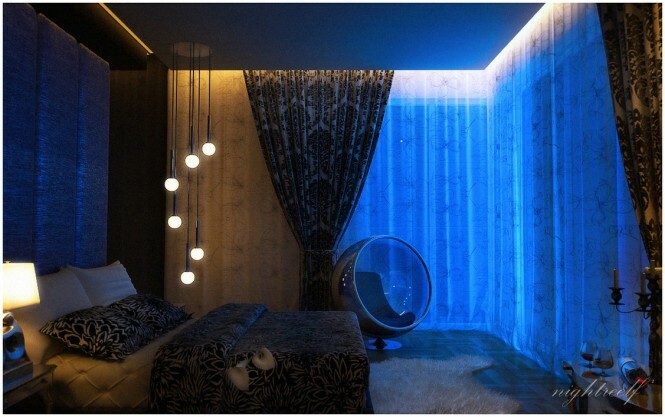 This dark bedroom by Nightreelf is lit up by blue lights and hanging strobe lights, which give it an outer-space quality. The bold graphic prints on the curtains and bedspread give it a heavy, moody appearance.